To put upon her fairy wand. For all she in her heart holds dear. Together make your dreams come true! This poem is available as a printable file in my Etsy shop at a very affordable price, and you can print as many as you like for personal use! 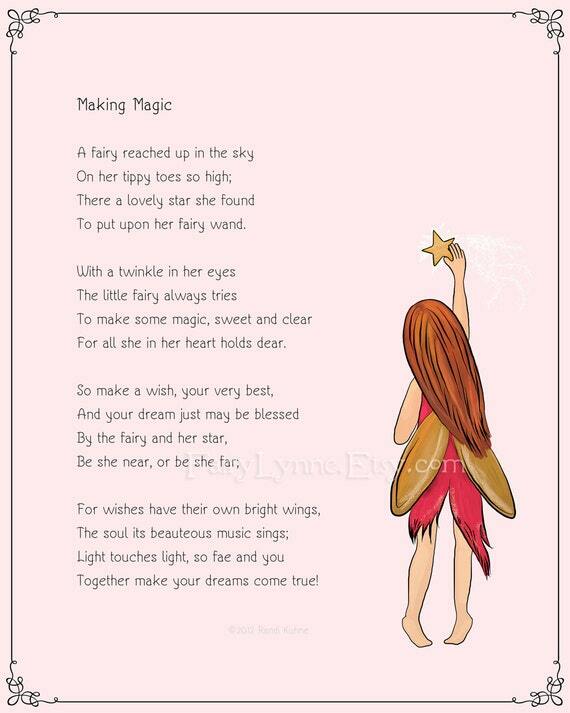 ©2013 Randi Kuhne, My Fairy Poems. All rights reserved. No other use without permission.